Dr. Joe Navaleza is joining Midshore Surgical Eye Center in 2016 as a comprehensive ophthalmologist, specializing in cataract and refractive surgery. He also treats patients with complex ocular conditions including glaucoma and macular degeneration. 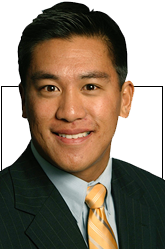 Dr. Navaleza is a graduate of the Inteflex program at the University of Michigan where he received his B.A. in English Literature. He also studied French and Art History at New York University campus in Paris, France. Dr. Navaleza received his medical degree from the University of Michigan Medical School. Following a medical internship at Albert Einstein Medical Center in Philadelphia, Dr. Navaleza completed his residency training at Wills Eye Hospital, one of the top two clinical ophthalmology programs in the country. He is a board certified ophthalmologist and is a member of the American Academy of Ophthalmology and The American Society of Cataract and Refractive Surgeons.